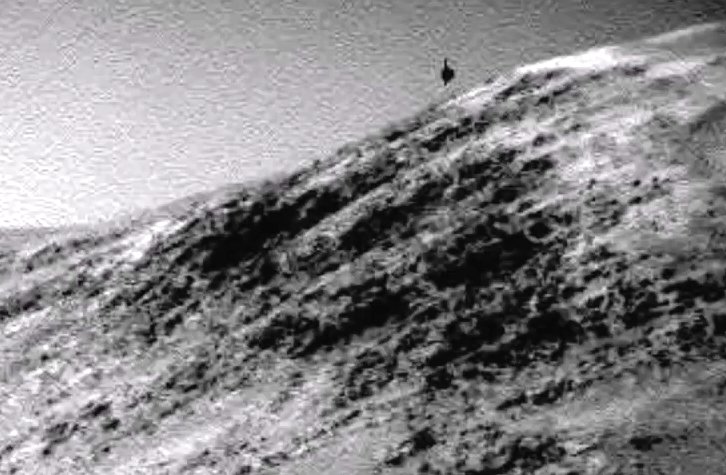 UFO SIGHTINGS DAILY: Dark UFO Over Martian Surface Observes Rover, Sept 2015, UFO Sighting News. 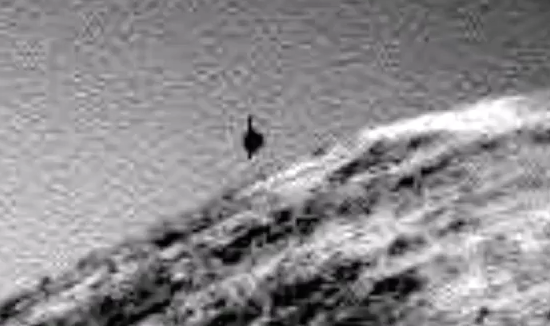 Dark UFO Over Martian Surface Observes Rover, Sept 2015, UFO Sighting News. I have never seen this kind of object on Mars before. The UFO is dark, more so than the surface of the hill, which means its not part of it. It has a pole line above and below that seems perfectly balanced. It could be that the small alien people we have been finding are still alive and this could be one of their craft observing the rover. It has a good vantage point from the hill. This is a photo from Opportunity Rover on Mars. I am posting the Link below. Opportunity is still LIVE and updates pictures almost daily. There are just too many anomalies being found by myself and other Ufologists to dismiss them as nothing. One day we will be proved right. When you have seen these things right above you and I have, it changes your perception of all you have been taught. People don't believe you, so I'll keep posting what I find.